Preparation Step One - Preheat oven to 350 degrees. Step Two - In a large pot of boiling, salted water cook the pasta to al dente. Step Three - While the pasta is cooking, in a separate pot, melt the butter. Whisk in the flour and mustard and keep it moving for about five minutes. Make sure it is free of lumps. Stir in the milk, onion, bay leaf, and paprika. Simmer for ten minutes and remove the bay leaf. Step Four - Temper in the egg. Stir in 3/4 of the cheese. Season with salt and pepper. 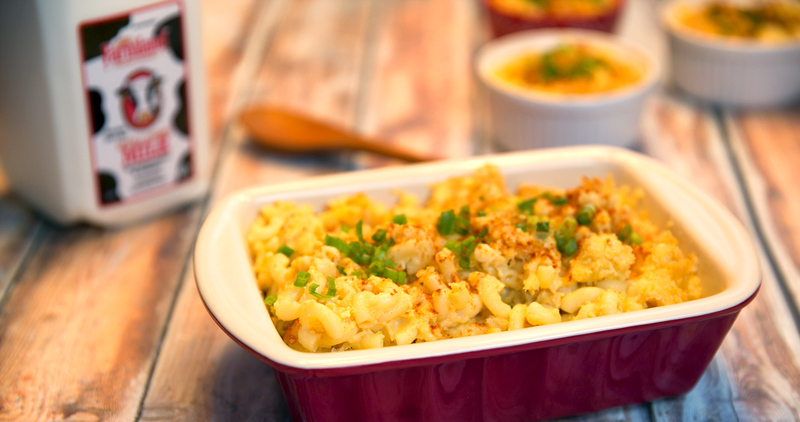 Fold the macaroni into the mix and pour into a 2-quart buttered casserole dish. Top with remaining cheeses. Step Five - Melt the butter in a saute pan and toss the bread crumbs to coat. Top the macaroni with the bread crumbs. Bake for 30 minutes. Remove from the oven and rest for five minutes before serving.